Measuring 1.8 x 3.0m, the Lavenham Summerhouse is from our National Trust collection that was designed in line with the classical values and traditions of the trust. These values are reflected in the rustic-cut, vertically sawn cladding, corrugated roofing material and cast iron door furniture as well as the choice of six National Trust paint shades for the exterior. 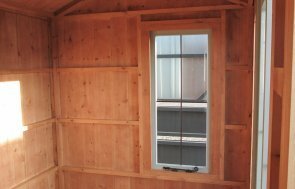 However, if you are looking for something a bit different, you create your own garden building onsite. Alternatively, you can discuss your requirements with a member of our team at one of our our show centres. These are located across the UK and provide the perfect opportunity for you to experience the luxury of the buildings in person. 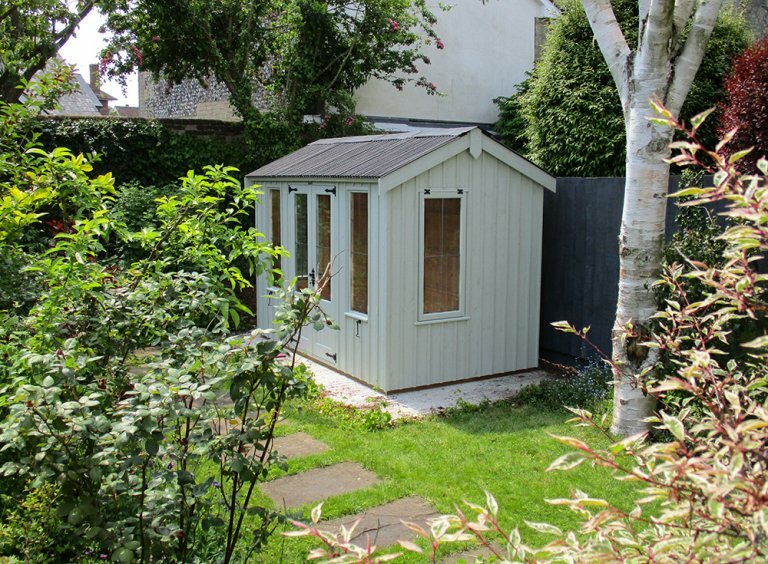 For more information on our summerhouses, along with the other garden buildings we offer such as sheds, garden rooms, studios and greenhouses, we encourage to take a look around our website.